Is Powerball a Mug's Game? It all depends on when you play—and what value you put on a dollar. Were you stupid not to play? I don’t have to ask myself; I played. My father and his Ph.D. in statistics put me in for a 20 percent share of his four tickets. But I got enough razzing from friends and neighbors that I thought it was worth explaining why, from a mathematician’s point of view, last Saturday’s drawing wasn’t necessarily dumb. The question to ask is: What is the expected value of a lottery ticket? If the expected value is more than a dollar, and the ticket costs a dollar, you should buy a ticket. If the expected value is less than a dollar, you should keep your money. “Expected value” doesn’t just mean “what do you expect?” After all, you probably expect the ticket to be worth nothing. Yet people don’t think lottery tickets are worthless; if they did, they wouldn’t buy them. “Expected value” as I mean it here is a mathematical definition that assigns a fixed value to an object whose true value is subject to uncertainty. P1 x V1 + P2 x V2. (1/10) x $100 + (9/10) x 0 = $10. Why is $10 a good definition of the value of the ticket? Because if you spent a week at the track and bought, say, 250 such tickets, you’d probably end up winning about 25 times; you’d make $2,500, or $10 per ticket. So, if you were paying more than $10 for each ticket, you’d be a loser; less, and you’d be a winner. (1/80 million) x $280 million + (79,999,999/80 million) x 0 = $3.50. The problem with that argument is that we weren’t playing for the $280 million. We were playing for our share of the $280 million, thanks to the possibility of multiple winners. If I win the Powerball, the chance is pretty good that somebody else is going to win, too. Already my jackpot’s down to $140 million. And the more people who play, the more the prize will tend to divvy up. If, as happened in real life this week, four people win, you’re looking at just $70 million. So how many people could you expect to share the prize with? I worked this out (requires Adobe Acrobat). The chance of no winner is about 8 percent; of one winner, 21 percent; of two, 26 percent; of three, 21 percent; of four, 13 percent; of five or more, 9 percent. So Saturday’s fourfold victory was a bit of a surprise but not a real shocker. A Powerball enthusiast suggested to me that people are especially fond of picking lucky 21 on the red ball and that this could explain the large number of winners. But in fact, Powerball records show that the number of people who picked 21 on the red ball was only half a percentage point greater than would have been expected by chance. That’s not enough to make a serious difference. On average, the winner could expect a 37 percent share of the jackpot, or $103 million. A 1 in 80 million chance of $103 million should still have an expected value of (1/80 million) times $103 million, or $1.29. Still a good deal—especially because we haven’t even thrown in the chance of winning a lesser prize. I needed scratch paper to work all that out, though. Let me explain how you can do it in your head. First of all, it was pretty clear somebody was going to win. There’s a nice rule of thumb for working out questions like this. Suppose there’s an event whose probability is 1 in X, where X is a really big number. And suppose you have Y chances for this event to happen. Then the chance the event will happen is just about 1 - e-Y/X; here e is a famous mathematical constant whose value is about 2.718. The unexpected entrance here of e, the base of the natural logarithms, is one of life’s happy mysteries; the better constants, like e and pi, appear in all kinds of contexts having no connection whatever with logarithms or with the circumferences of circles. We should also point out that, because the exponent is negative, the value of 1 - e-Y/X is between 0 and 1, as a probability should be. As Y/X gets bigger and bigger, the exponential e-Y/X gets closer and closer to 0, and the probability that someone will win gets closer and closer to 1—just as it should do when the number of players increases. 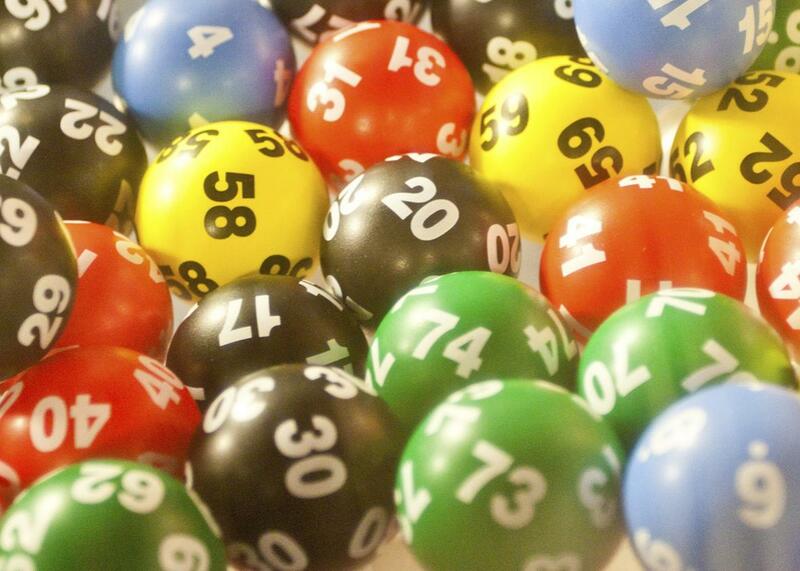 For Powerball, X is about 80 million, and the number of tickets is about 200 million. So Y/X is 2.5, and the chance of someone winning was (1-e-2.5) or about 92 percent. The nice thing about this rule of thumb is that it only depends on the ratio between the odds of winning and the number of players. If the odds were 1 in 1,000, and 2,500 tickets were sold, the odds of someone winning would be just about the same. So the masters of Powerball take in $200 million in ticket sales for Saturday’s drawing. Very likely, they pay out $280 million in jackpot—not to mention the sub-jackpot prizes, which amounted to $41 million in Saturday’s drawing. Which means the house loses. And if the house loses, by definition, the average player wins. This may make Powerball look dumb; why would a casino run a game where the house stands to lose? The answer is that the current large jackpot is the result of a long string of games when the house did win. Cumulative-jackpot lotteries such as Powerball are essentially a massive transfer of value from the dupes who play when the jackpot is small to the wiser ones who wait until the jackpot is big, with the house taking a healthy cut along the way. Here’s the one piece of solid advice in this column: If you play Powerball every day, stop playing Powerball every day. If your dollar can be spent for a 1 in 80 million chance of $10 million or a 1 in 80 million chance of $120 million, why would you choose the former? You should have played, stupid. Or should you have? Lottery unenthusiasts will have already noticed that that $280 million isn’t making its way to you unimpeded; the tax bill will take a sizable chunk out. Moreover, if you take your winnings as a lump sum, the jackpot doesn’t come out to $280 million, but much less (see this “Explainer”). And a few million dollars 10 years from now is worth less than the same payment today. You might die in between or just get bored with being rich. Suddenly the ticket doesn’t look so good; and if you lose 40 percent of the money in income taxes, the $1.29 expected value of a ticket drops to 77 cents. Remember, you paid a dollar. But what about those other prizes you could win? It turns out that they add only 21 cents—that’s 21 cents before taxes—to the expected value of your ticket. You’re still in the red. But there’s an even deeper problem, which is this: It’s by no means clear that the benefits of having $280 million are 280 million times as great as the benefits of holding onto your original dollar. In fact, those benefits vary from person to person. Some people will gladly trade a dollar for a 1 in 10 chance of $10. Some people would rather have the dollar. Mathematics can’t tell you which of those two you should prefer, although psychologists have learned a lot about what people typically do prefer. Mostly, people are “risk-averse”—given the choices above, they’d keep their dollar. So should you have played? It comes down to this: How much did you want $280 million? I decided to play, and I lost. Conclusion: I just didn’t want it enough.